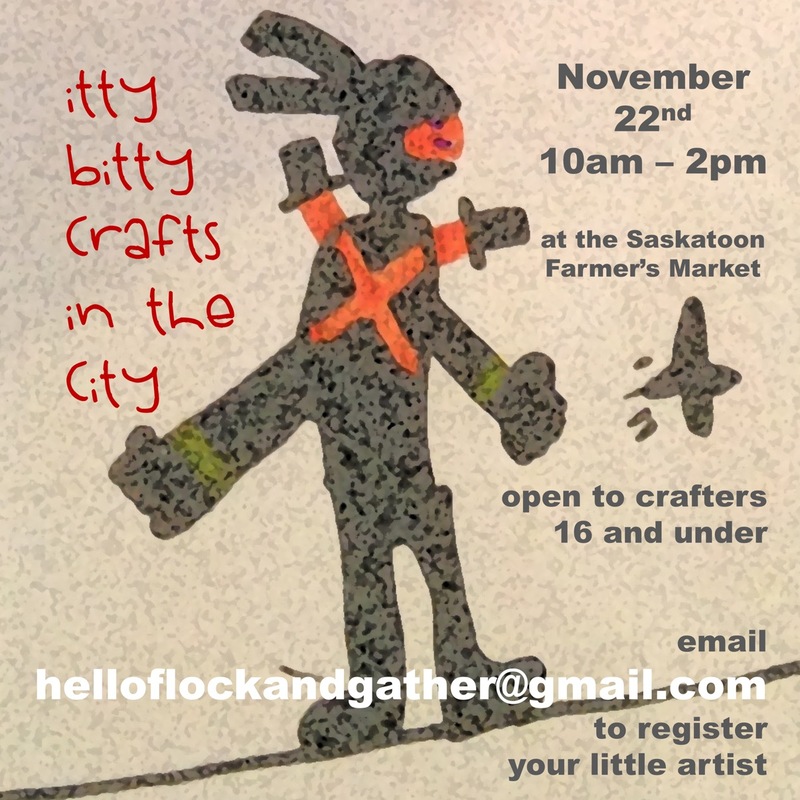 We are very excited to team up with Hiddenstitch to host the 2nd annual Itty Bitty Crafts in the City, a handmade market for young artists. The show will be held at the Saskatoon Farmer's Market on November 22nd from 10am until 2pm. The market is open to all handmade makers ages 16 and under. To get more information or to register your itty bitty crafter, please email helloflockandgather@gmail.com.